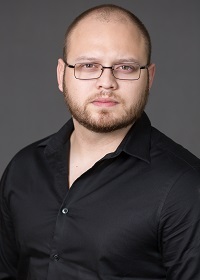 Meet David Vasquez, Strategic Accounts Representative here at GeoSurgical. David handles all sales for Asia and Africa. David has been with WestCMR for a little over 2 years. His career began in sales, and he quickly realized how much he enjoyed the challenge of breaking into uncharted territories. He has skydived 28 times. He backpacked through Europe in his early teens. Regardless of the season, he’s a true Seminole Football fan. I currently work for GeoSurgical, a sister company of WestCMR. My responsibilities include the sale of surgical disposables to 105 countries covering all of Asia and Africa. The truth is, I enjoy the challenges involved with such a diverse territory. Cultural relativism, overcoming speedbumps which are unheard of in the domestic side, such as dealing with government export restrictions, tariffs, exponentially high shipping charges and various other components of my job surely keep me on my feet! Whether it’s finalizing deals at 4 am or international travel for tradeshows – it makes my job here at WestCMR a remarkable experience. Manage the small details, while keeping sight of the big picture. It’s easy to become discouraged when things don’t go your way, so breathe, pick up a dumbbell or car karaoke if you must – but get over it, and push forward. Find what works for you, that niche that makes you soar and stick with it. There’s no need to reinvent the wheel, especially if it is yielding the results you desire. On that same note, there’s also nothing wrong with throwing new thoughts and ideas up against the wall and see what sticks. Find a balance, become adaptable. Seek help if you need it. I have always been very self-motivated, and the “I’ve got this” mentality has gotten me far. However, we all need a bit of help sometimes. When juggling too many balls in the air, your chances of dropping one becomes exponentially higher. Don’t drop them, not even one. WestCMR is a place you can call home. WestCMR provides you with all of the tools you need to succeed. Our work environment is very supportive, and you are surrounded by individuals who share your view of the larger picture and will do whatever it takes to get there. We all are making a positive impact on the healthcare community and our environment.